In many ways, 2019 will be another big year for the commercial drone industry. Last year saw a wider rollout of the FAA’s LAANC program (the Low Altitude Authorization and Notification Capability that provides access to controlled airspace near airports), the launch of the UAS Integration Pilot Program from the FAA, and some significant developments for new regulatory frameworks for drones in Europe and in India. This year, expect more of the same—but with a few twists. Adoption of aerial drones and drone technology will not be as widespread as some might expect. Instead, it will grow in select industries like agriculture, construction, insurance, mining and aggregates, public safety and first responders, oil & gas, survey engineering, telecommunications and utilities. Last year, companies began to move beyond the provisional use of drones—where they were outsourcing to determine a drone program’s feasibility—to standing up or expanding internal teams to manage workflows and data. This year, expect to see reports about companies expanding their teams and adding use cases that take advantage of the waivers allowing limited beyond visual line of sight operations. The number of certified remote pilots is the benchmark for commercial drone industry growth. That’s because, almost uniformly around the world, regulations demand each drone operation have one pilot. Last year, the number of FAA-certified remote pilots grew about 50% over the previous year, to approximately 115,000. That increase was mostly made up of pilots who work for companies, enterprises or public agencies with internal drone programs as opposed to pilots who operate for drone-based service providers. It’s clear that commercial industries are now driving growth rather than individual interest as in years past. One thing to keep in mind when looking at FAA numbers is that the month-over-month growth rate is beginning to slow. That may worsen given the current partial U.S. Government shutdown, which will delay the grant of new certificates. It may also slow further because some drone-based service providers who are not making money (most aren’t) will choose not to re-certify as a remote pilot. Much of the industry’s growth so far has come from the early hype about how drones were going to “transform” industries as well as huge forecasts that fueled investment. Over the years, we’ve seen those dreams turn to smoke as vendors like 3D Robotics and GoPro fell out of the sky. Last year was no exception. The $118M collapse of Airware and the release of Parrot’s disappointing financial results give us a glimpse into what will come. Still, there is good news, and you can expect more moves like PrecisionHawk’s acquisitions as vendors seek leadership positions in key industries and secure new revenue streams. Despite the benefits of commercial drone use, the general public still has concerns about drones with regards to safety, security, privacy and public nuisance. After the Gatwick debacle, expect more headlines in 2019 of unauthorized drone sightings and the coming drone apocalypse. In many ways these stories hurt legitimate commercial operators who often need to gain permission from reluctant land owners so they can perform inspections and survey maps for infrastructure unreachable by other means. Here in the U.S., there is another tea kettle about to boil over. A little-known but highly influential group known as the Uniform Law Commission (ULC) will continue to work on a proposed “Tort Law Relating to Drones Act,” which concerns drones and privacy. If their proposal is adopted by states, we could see an arbitrary line drawn 200 feet in the sky that would establish a new aerial trespass zone giving property owners the right to establish no-fly zones. Right now, their draft goes much further than any existing state or federal law and, if enacted, would create a complicated patchwork of differing state laws that inhibit commercial operations. Until then, expect to see more local and state laws like this one in Pennsylvania aiming to protect people’s privacy from drones. 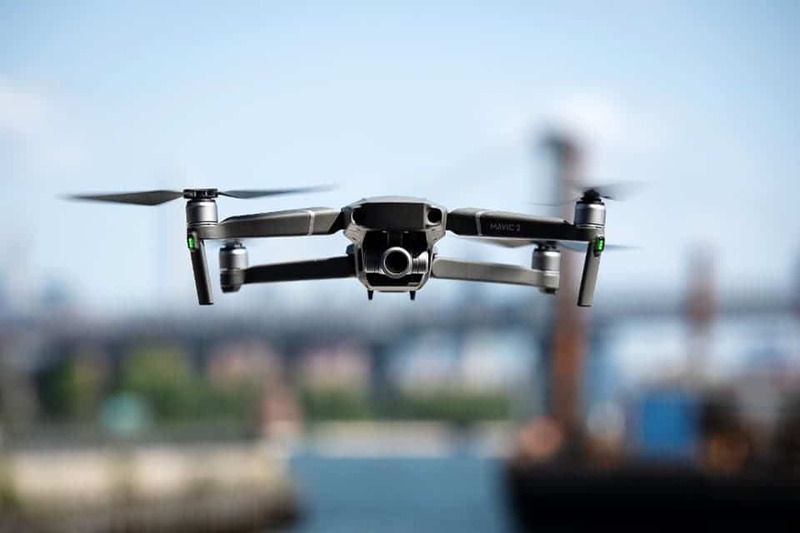 Some predict 2019 will be the year the FAA finally implements a requirement for remote identification for all drones, recreational and commercial, flying in the U.S. It’s expected this will be combined with a new rule for flights over people for small drones. But there is a big difference between the FAA proposing a rule (called the Notice of Proposed Rulemaking or NPRM) and that rule becoming law. The difference can be anywhere from six to nine months. So it’s likely we’ll see a proposed rule, but implementation will be like Waiting for Godot. To be clear, Drone ID is not a slam dunk, and the specifics of the ID signature are still being debated within the FAA. Even so, Drone ID needs to exist for Unmanned Traffic Management (aka UTM) to become a reality. UTM should help enable some of the most talked-about use cases for drones, from package delivery to aerial taxi services, but don’t expect this first iteration of remote ID to live up to the headlines or vendor expectations of a global autonomous drone network – as that would ignore the arduous political processes in each country or region to make UTM even possible. SZ DJI Technology Co., Ltd. (a.k.a. DJI), a Chinese company, continues to dominate the market and has made gains this year in every product category, from drone aircraft at all price ranges, to add-on payloads, to software. Recent survey data shows DJI is still the dominant brand for drone aircraft purchases, with a 74% global market share. Much of DJI’s dominance can be attributed to its aggressive product development, technological advancements and partner development in the enterprise channel. Last year, the company released two new series of enterprise products (Phantom 4 RTK and Mavic 2 Enterprise) that target industrial users. It’s safe to predict their leadership will continue given their strategic investment with Hasselblad, their recent investment in an R&D facility in Palo Alto, California, and their partners in the enterprise space such as Microsoft. Along with the new imaging sensor integration announcements in 2019 (such as smaller, more lightweight LiDAR), expect to see imaging software advancements as companies seek to combine RGB, thermal imaging, orthomosaic, and data from IoT sensors. More aerial imaging and mapping software firms will likely announce artificial intelligence (AI) capabilities. Right now, most of this is cloud-based machine learning (a.k.a. deep learning and predictive analytics), where datasets are trained by specialized teams. Already, there are some drone-based AI solutions for image recognition/machine vision, but it’s still early in the technology development cycle and AI is near peak hype. 8 Eileen road, Blairgowrie, Gauteng. We would love to hear from you! Please fill in these fields so we can get started.